Multiple scenes of Sherman County, Kansas. 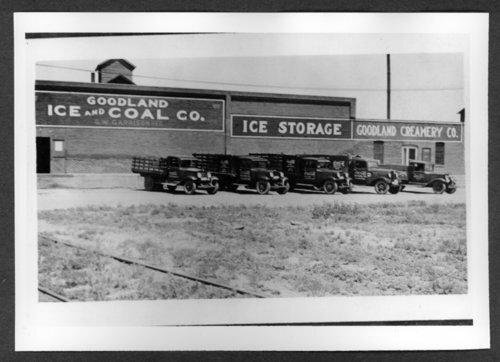 They include the exterior of the Goodland Creamery Company, an image of Coca Cola Bottling Co. trucks, an advertisement for ice cream made by the Goodland Creamery, and the interior of a bottling plant. Scenes of Sherman County, Kansas - Goodland Creamery. George Garrison, owner.